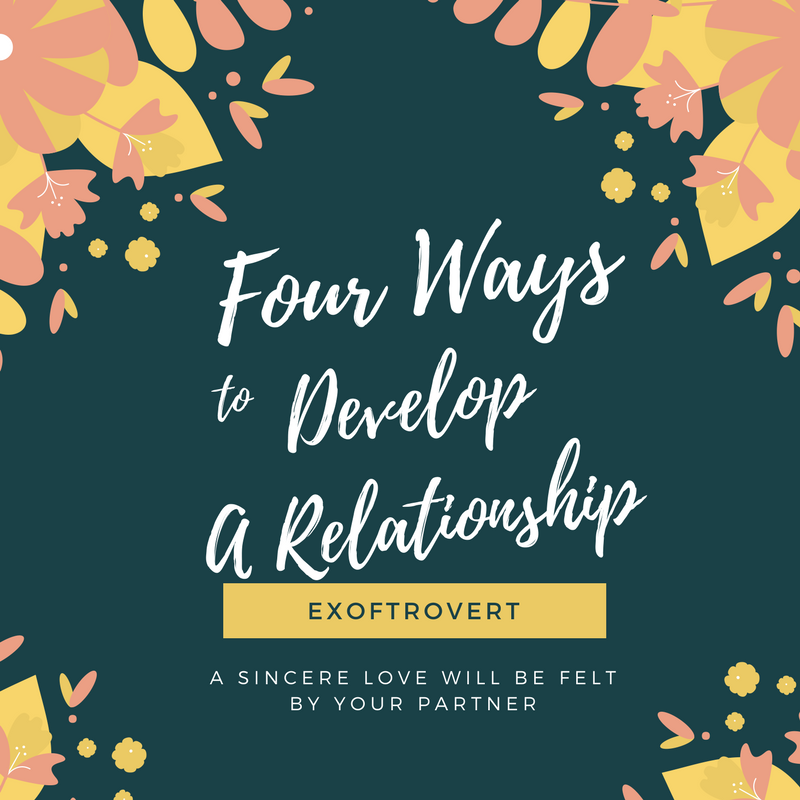 Four Ways to Develop A Relationship - Sometimes we feel that our spouse changes from time to time. For example, if at the beginning of the couple's encounter we are very concerned even with the little things about us, but as time goes by, the attention diminishes even faded. Though awareness is one key to intimacy that can strengthen a relationship. 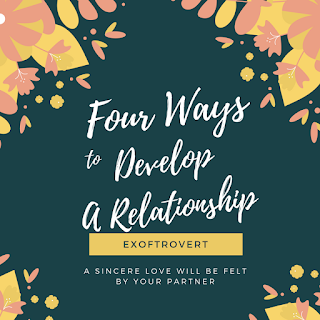 Therefore, here are some tips that I summarize from several sources on how to maintain concern for couples in a relationship. The longer the relationship, the less physical contact will be. In fact, maybe we only do two or three physical contacts with a partner in one day. There are times when we do not even get enough touch. In fact, a touch can cause feelings owned and feel comfortable for the couple. Try holding hands while shopping or taking a walk in the city park or if just watching a movie. Believe it or not, if a relationship that has a high-intensity meeting with a partner has a better relationship quality. Time is the ultimate and most valuable commodity in a relationship. If we have a tendency to prioritize relationships, then taking the time to drink coffee together in the morning or dinner together at night is not difficult. When our partner is having a tough time, all we have to do is provide encouragement both verbally and nonverbally. A positive sentence or just a hug is enough to tell you that we will always be there for the couple. Couples who feel understood will love more deeply than we expect. There are times when a person just needs to be heard. So, be wise when you want to give your opinion in times of difficulty. If your spouse asks for it, then talk to the situation. It's good to occasionally ask what your partner wants for dinner or ask what clothes look good to wear. Try to share anything with your partner even for trivial things. A good relationship is not just about who you are, but about what you and your partner can do and accomplish together.